At the Embedded Linux Conference conference, Civil Infrastructure Platform contributor Yoshitake Kobayashi talks about the CIP project’s progress in bringing a 10-year SLTS Linux kernel to the world of power plants and transportation systems. This spotlight series highlights CIP members and how they are contributing to open source software solutions that will benefit the world’s technical systems. Today, we highlight Codethink in a conversation with Agustín Benito Bethencourt, Principal Consultant and active CIP member. Codethink is an independent engineering and consultancy services company. We specialize in system-level infrastructure to support advanced technical applications, working across a range of industries including finance, automotive, aerospace, medical and telecoms. We deliver critical technology services and solutions for international corporates. We develop and maintain system-level software and infrastructure within three practices: Enterprise, Devices and Automotive. We have a wealth of experience in truly understanding the software development life-cycle and are happy to provide specialist expertise to slot into an existing project/product team, or to handle the turnkey supply of a complete solution to a managed budget, time or quality. 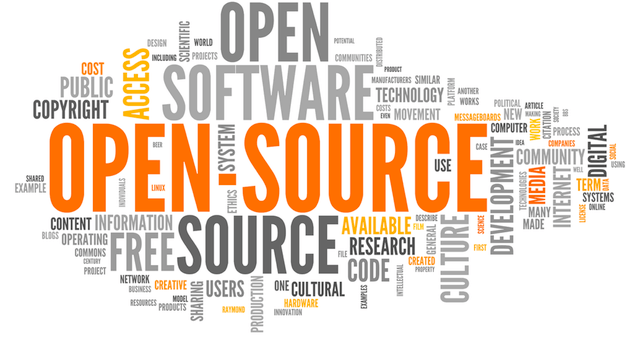 We are experts in Free and Open Source Software (FOSS). We participate in upstream and are active contributors to a wide range of FOSS projects. As a consultant at Codethink, I have two main roles: I help customers to transition from traditional embedded delivery models to modern ones, embracing Open Source best practices and agile principles, either in R&D or in production environments with a special focus on automotive at the moment. Additionally, I represent Codethink at The Linux Foundation and CIP project. Historically, Codethink has a very strong Open Source Software background. We believe that within the civil infrastructure industry there is plenty of room for sharing effort in the open, to create a commodity base system that can be maintained and shaped long term, enabling numerous stakeholders to participate and consume such software and knowledge for product development. Open Source ecosystems offer good opportunities for companies like Codethink to learn and demonstrate capabilities by actively participating in and contributing to CIP. Modern software practices are moving towards producing and deploying software fast enough so that it can be kept up to date. A significant part of our business revolves around that idea. There are environments though, in which following this approach is particularly challenging. The Civil/Social Infrastructure industry is one of them. When it comes to software delivery or maintenance, for instance, the time perspective and economics for developing products that will still be operating in 50 years, is new to most of those coming from Open Source, especially when applied to safety critical environments. This is the main reason we wanted to participate in the foundation of CIP. The Linux Foundation project represents – for us – the perfect forum to challenge ourselves while helping others to embrace an Open Source mindset. Our previous experience in open source community environments, helped Codethink to play an important role in shaping and foster CIP as an open source forum. As the project shifted its focus to the CIP kernel, Codethink led the testing and maintenance effort. We currently share the responsibility with Siemens, who is managing the real-time version of the CIP kernel we maintain. Additionally, Codethink supports CIP on several other fronts such as promotion, content creation, participating in CIP governance forums, building strategic relations with other projects, etc. Since Codethink is a consulting company, we don’t ship products based on CIP’s industrial grade software, but some of our customers do, especially those in industries where safety is critically important. For example, our Automotive OEMs customers are great candidates for the software. In the kernel front, for instance, CIP takes advantage of all the work done by the kernel community on the 4.4 LTS process. CIP is adding additional effort to that process, contributing directly upstream instead of creating a separate and independent process where upstream is just an input, which requires additional effort to close the circle when contributing back to upstream. Our current simple process has proved to be very efficient. Once the current LTS process ends, CIP will be maintaining such a critical component on its own. That will be the moment of truth for CIP. The same will apply to the rest of the components of CIP’s “base layer”, called CIP Core, which relies on Debian sources. If the learning process we are currently following at CIP is successful, and the consolidation of the project reaches the required activation threshold, CIP will become a key forum for all those parties that ship long lasting Linux based products. Otherwise, the scope of the Initiative will be solely determined by the needs and efforts of the current members which, looking at the size of some of them, might be a bright future too. I see civil infrastructure systems following the general path that embedded industries and automotive are following, where the commoditization of part of the software stack is the only approach to tackle the increasing complexity, leaving enough resources to focus on differentiation factors that add value to customers. This process should push companies towards sharing more effort and resources. Open Source enables the healthiest environment in which to do so. I think that the same principle will apply to safety critical related systems, although the adoption there will probably be slower but inexorable. In summary, the overall transition from being Open Source consumers to producers first and contributors later, will take place faster than most think, just like it has in other industries before the Civil/Social Infrastructure. ome years ago, prominent community leaders doubted that even short-term stable maintenance of kernel releases was feasible. More recently, selecting an occasional kernel for a two-year maintenance cycle has become routine, and some kernels, such as 3.2 under the care of Ben Hutchings, have received constant maintenance for as much as six years. But even that sort of extended maintenance is not enough for some use cases, as Yoshitake Kobayashi explained in his Embedded Linux Conference talk. To meet those needs, the Civil Infrastructure Platform (CIP) project is setting out to maintain releases for a minimum of 20 years.